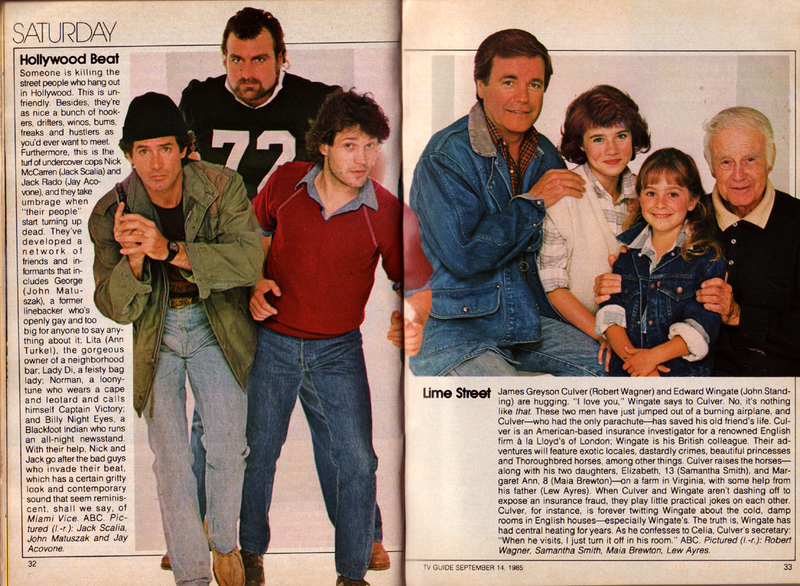 While 1984 was an insanely banner year for television, where almost every single new series was a hit that would run throughout the rest of the decade, 1985 was more about trying to capitalize on the previous year’s successes. 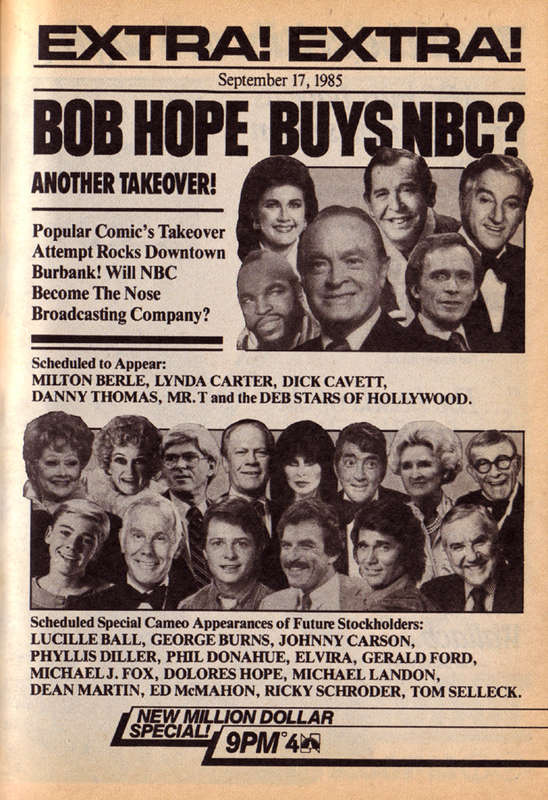 Though there are a few shows that could easily be deemed TV classics, a lot of the new series were either directly aping recent hits, or were trying to carry on the torch of shows that were on their last legs. 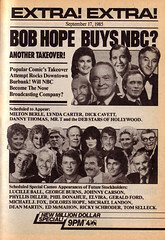 Two of the stand-out new series that would go on to help define the decade couldn’t have been more disparate in theme. 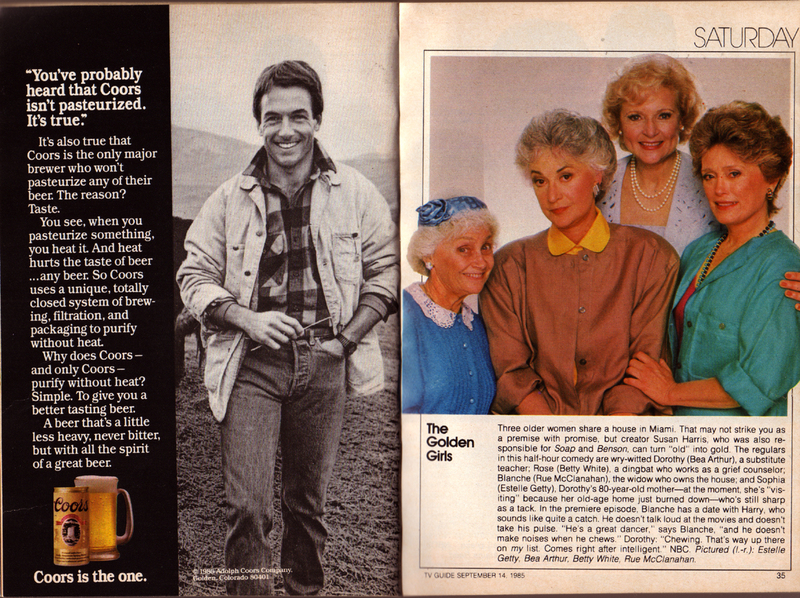 On the one hand we have the Golden Girls starring Bea Arthur, Rue McClanahan, Estelle Getty, and Betty White, which had a much broader audience than I’d bet the studio predicted. 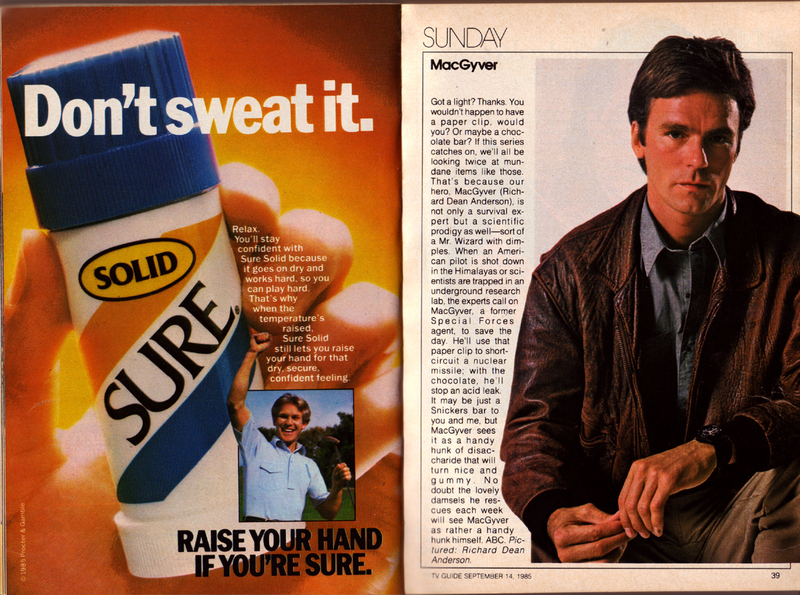 On the other we have MacGyver, which was finally the vehicle that would launch Richard Dean Anderson into stardom as pacifist secret agent Angus MacGyver who can solve any problem with some bubblegum, a toothpick, and a lock of his inspiring mullet. 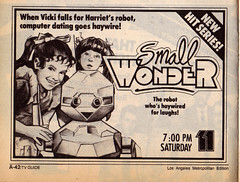 Whereas the Golden Girls would prove to studios that age had no bearing on comedy success, MacGyver was a good 15 years ahead of it’s time illustrating that there is an audience for detailed procedural science and technology outside of PBS (even if most of it’s science and tech was pure hokum.) 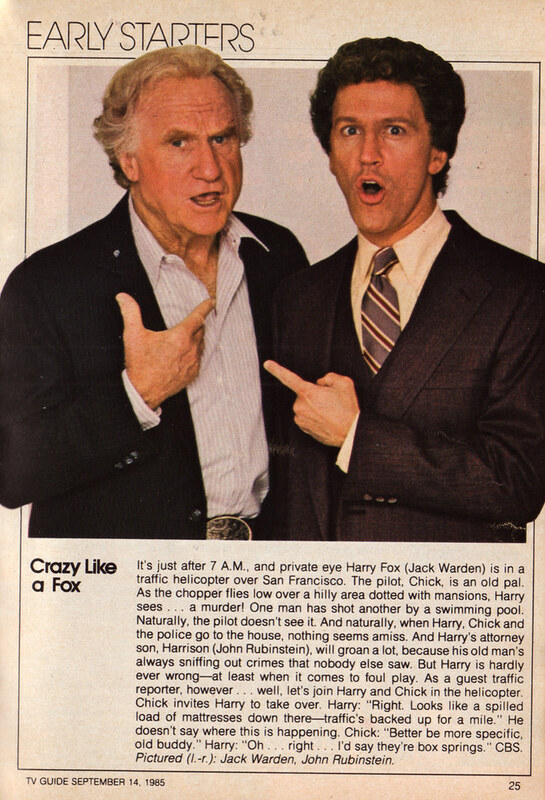 Think about it, would we have shows like CSI and Mythbusters without MacGyver? 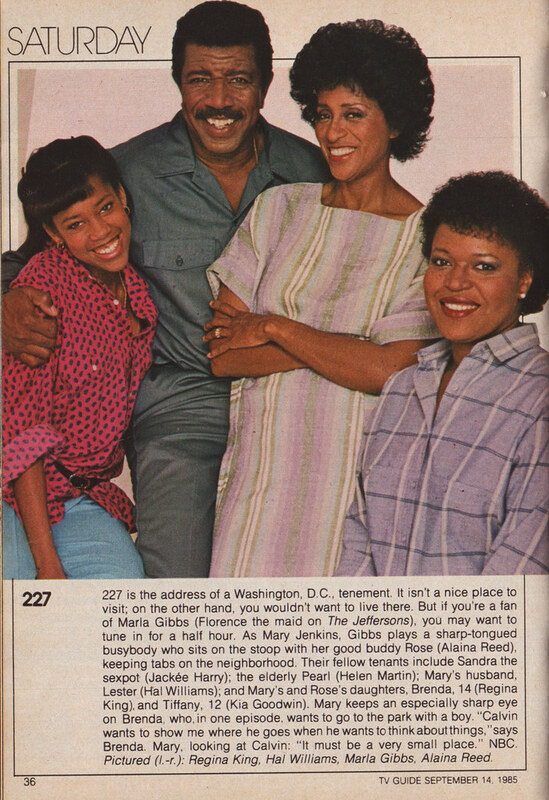 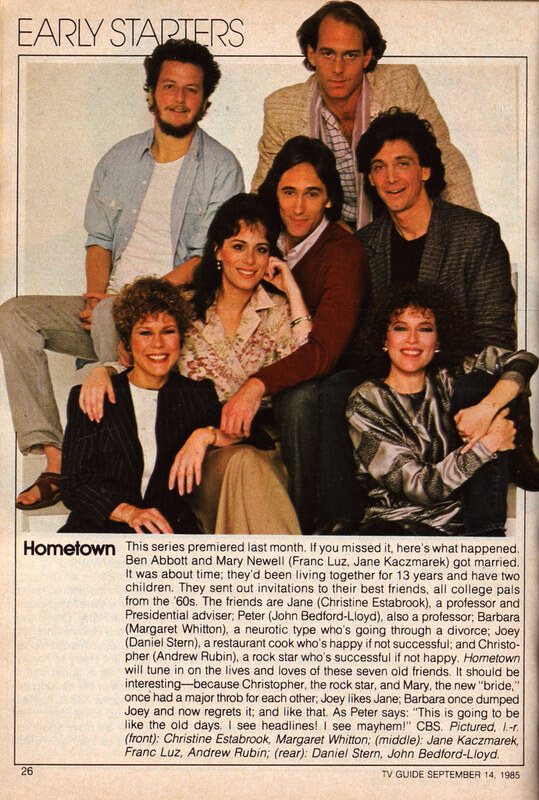 Getting back to the apparent theme of capitalizing on other series successes, in 1985 we were introduced to three long-running shows that were direct descendants of other productions from the early 80s. 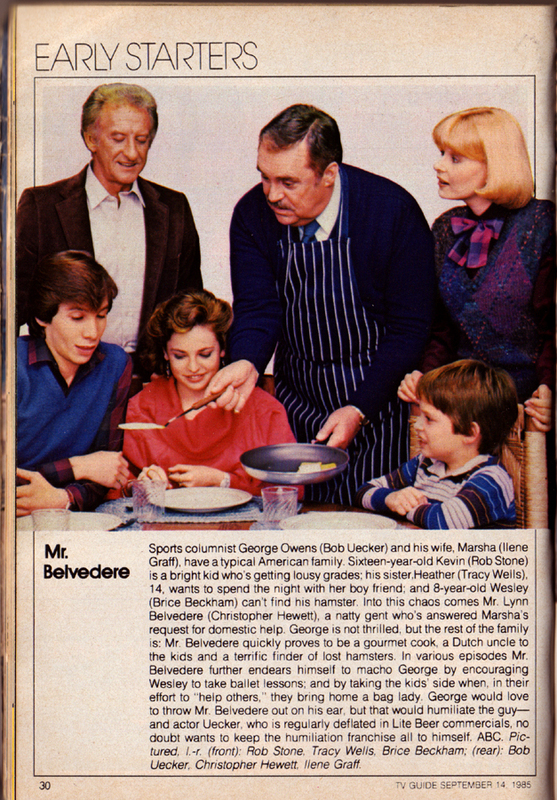 Mr. Belvedere picked up where Benson and Who’s the Boss left off, dusting his was way into America’s hearts and minds, while Growing Pains introduced the world to the wicked smile of Kirk Cameron, and one of America’s most famous stars, Bruce Willis, got his first big break as David Addison opposite Cybil Shepherd’s Maddie Hayes in Moonlighting. 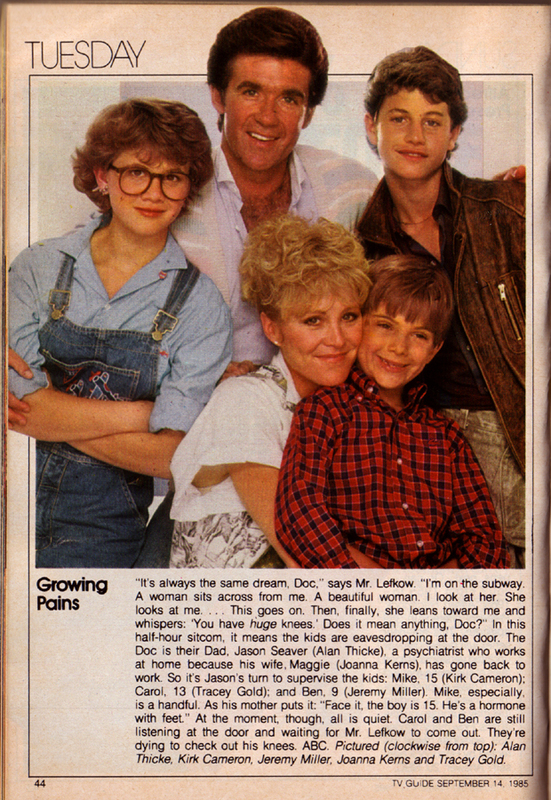 Whereas Moonlighting was aping multiple hits such as Remington Steele and Scarecrow & Mrs. King, Growing, Growing Pains was taking sight as just one show, Family Ties, stealing not only the basic family dynamic, but also the concept for it’s opening credits sequence (told in a series of family photos.) 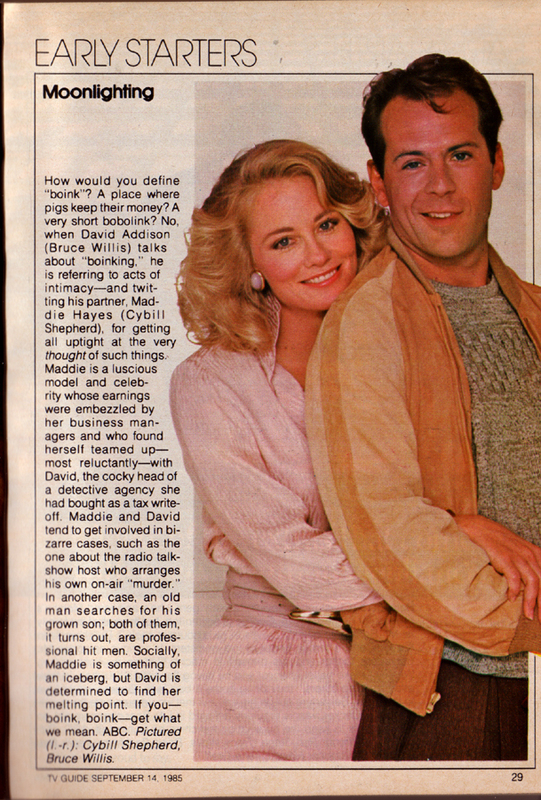 At least Moonlighting would find it’s own kooky voice as the years went on, setting it apart from the series it took inspiration from. 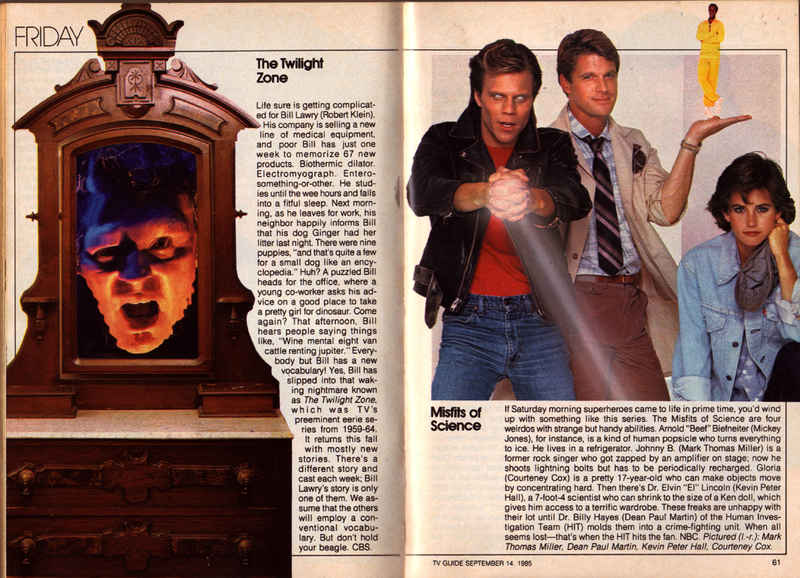 Similarly, based on the success of the relatively new anthology series Tales From the Darkside, 1985 would see an explosion of scary and interesting anthology TV that lasted well into the 90s. 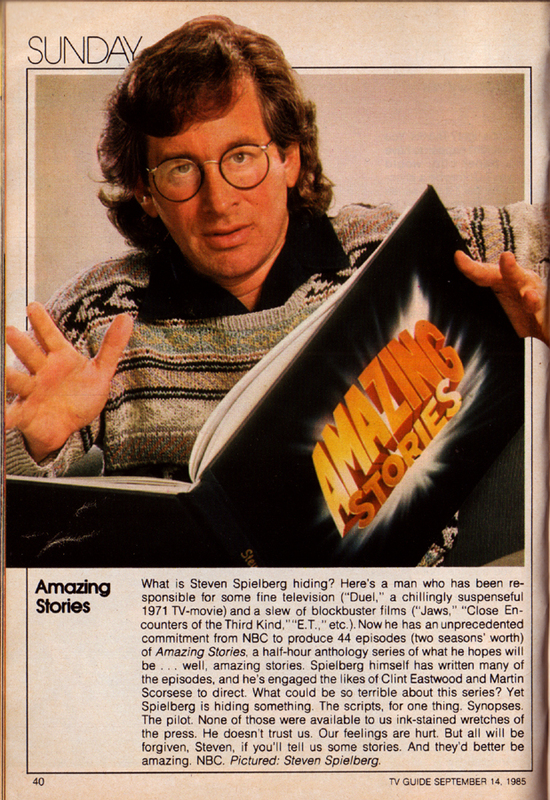 Making their debut that year were three new series, the Steven Spielberg Produced Amazing Stories, as well as two series reboots, the all new Twilight Zone and Alfred Hitchcock Presents. Though none of these three series would run for that long, they were the first big wave of anthology television that would be followed by shows like Monsters, Freddy’s Nightmares, Tales From the Crypt, and eventually a second Outer Limits series. 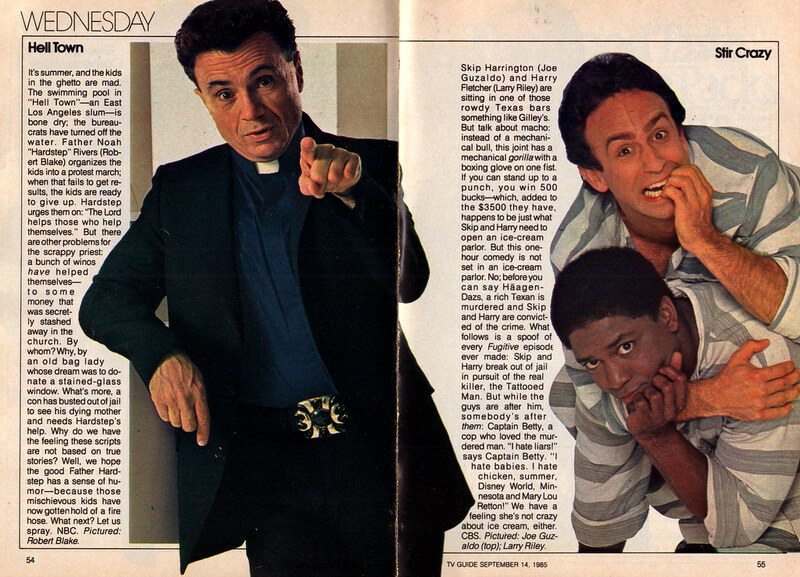 There were a few other interesting debuts in 1985. 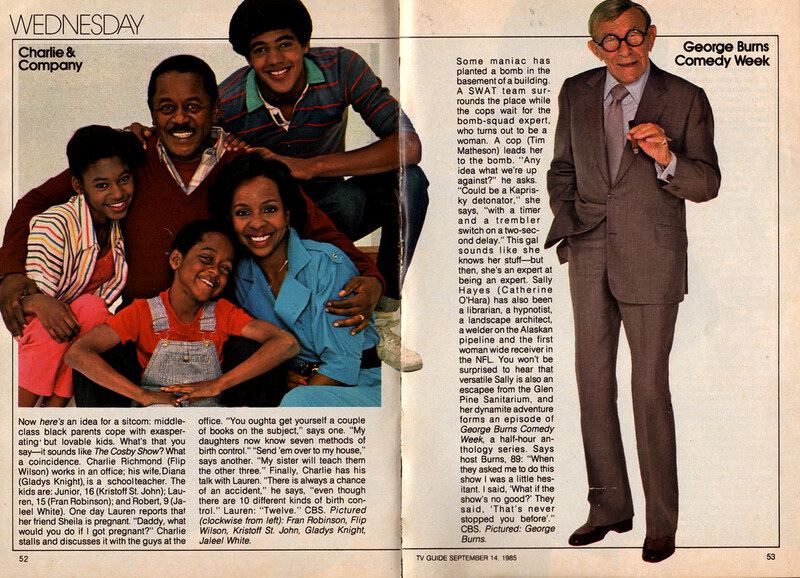 For one, we got our first exposure to Jaleel White in Charlie in Company (four years before he’d set the world alight with his obnoxious Steve Urkel.) 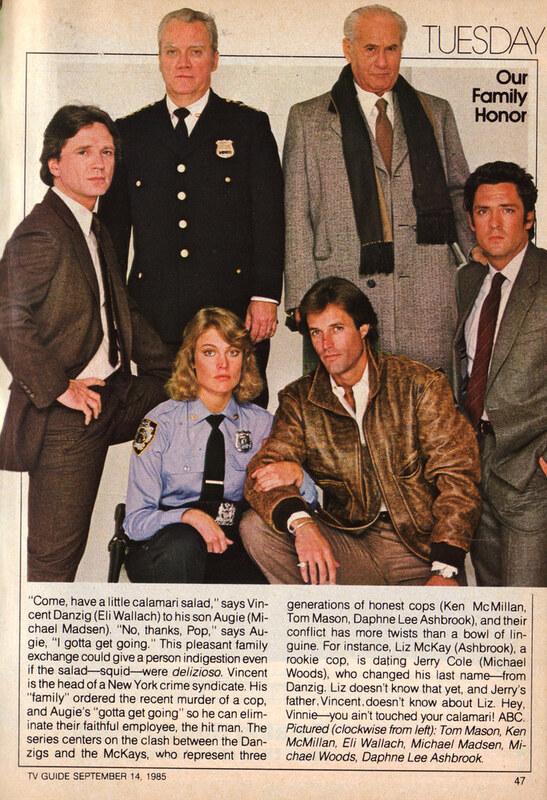 We also got a chance to see a young Michael Madsen fresh off his small cameo in Wargames, in the cop show Our Family Honor. 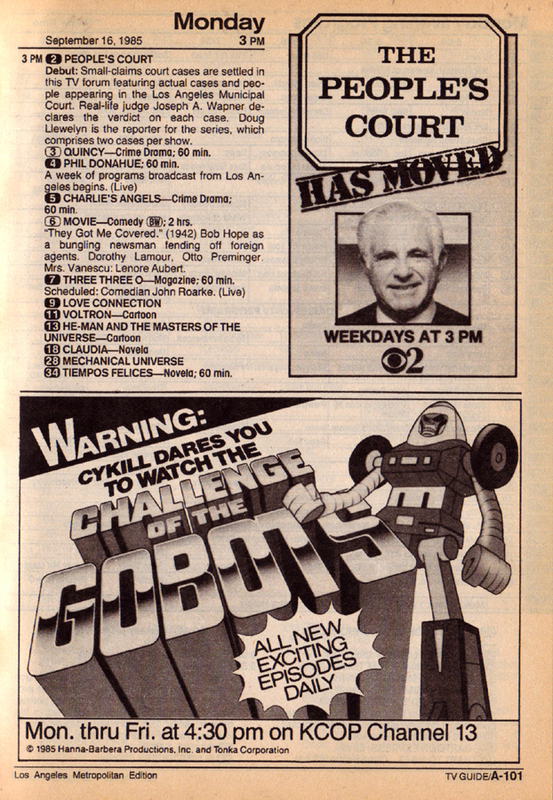 One of the things I love about looking through these old TV Guides is getting a glimpse at the various cartoon schedules and advertisements. 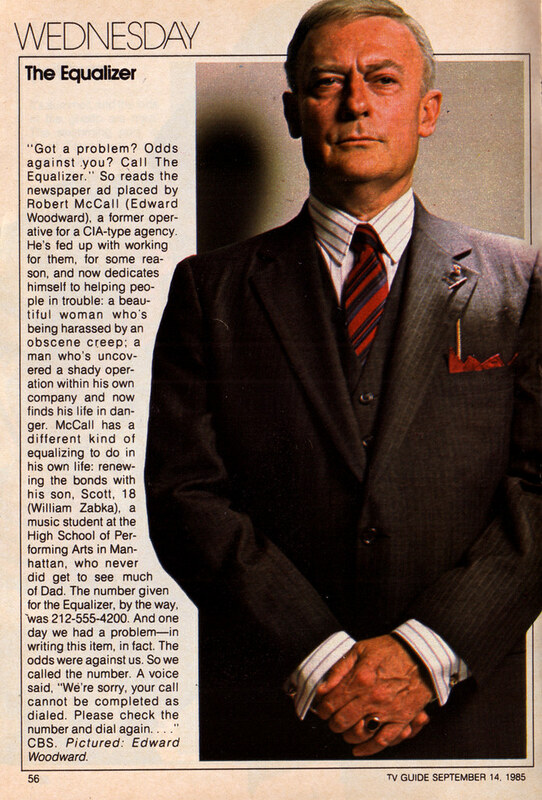 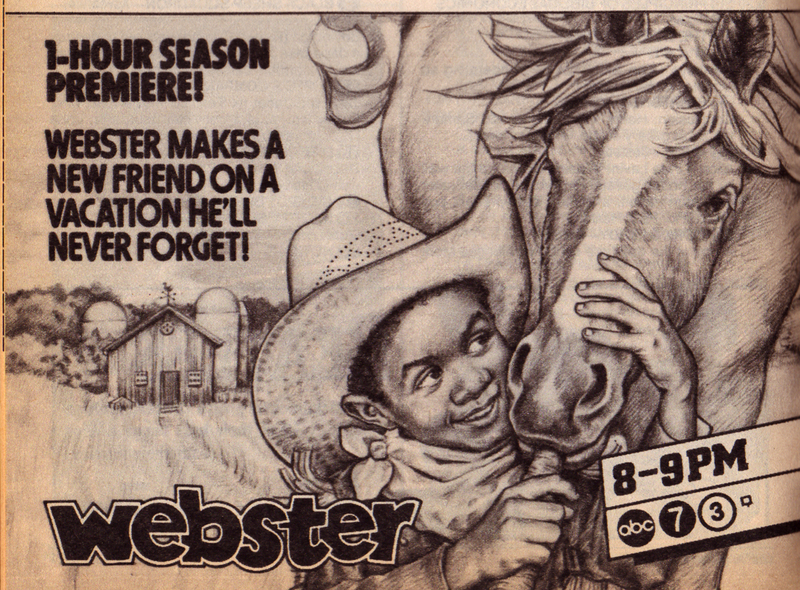 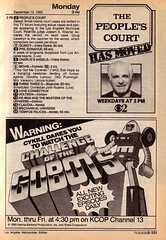 In this issue we got a chance to see a variation of the 1985 CBS ad that ran in comic books back in the day. 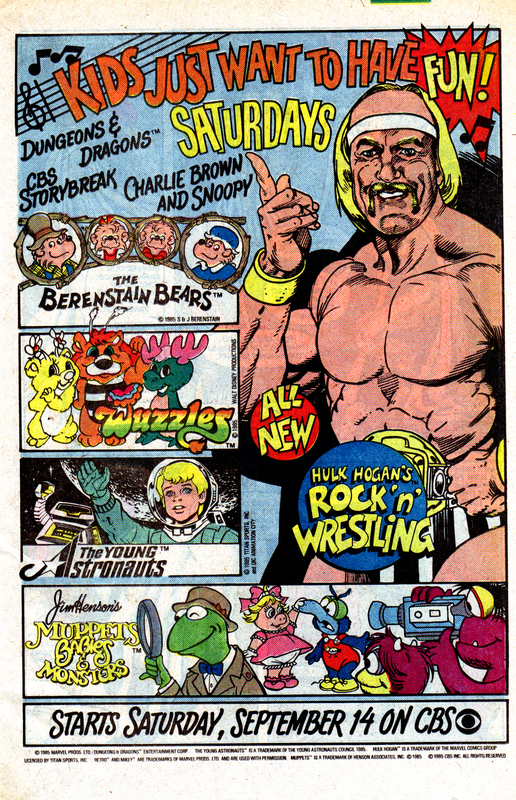 In this version we get a slightly more accurate portrait of Hulk Hogan as well as a clearly depiction of the “Monsters” from the retooled Muppet Babies cartoon. 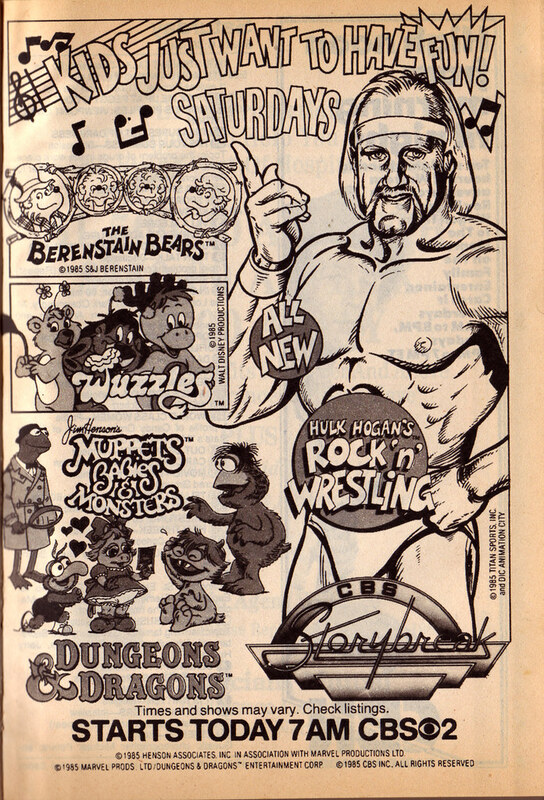 In ’85 Muppet Babies was popular enough to have a second live action half hour added to the show that revolved around the adult Muppets and a series of monster characters. 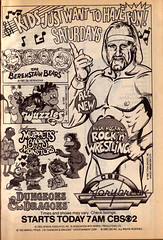 Jim Henson pulled the plug on the this addendum series after three episodes though, and the for the remainder of the season they ran two MB episodes back to back. 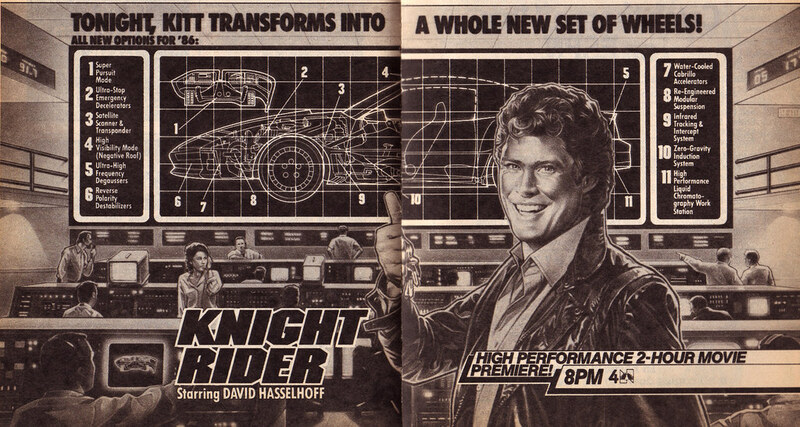 The other thing I really dig about this 1985 issue is all of the awesome artwork for shows like Knight Rider, Small Wonder, and Webster. 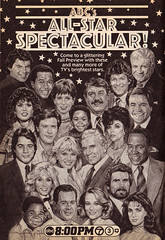 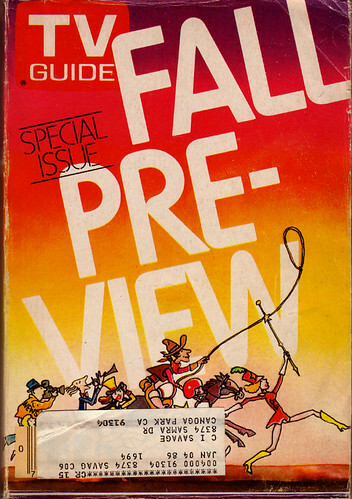 The last thing I wanted to point out in this issue is a series of star-studded specials that ran in the fall of 1985. 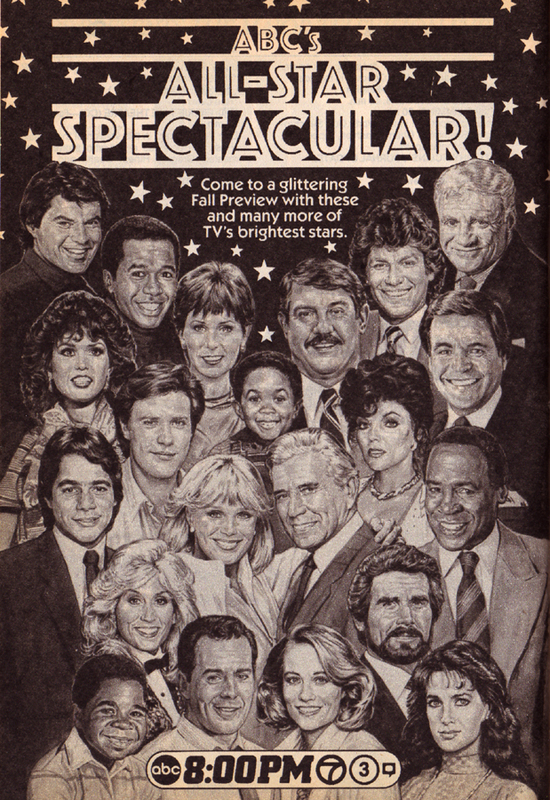 Seems like all the stations were gearing up for these gala events to get the word out on the new fall season. 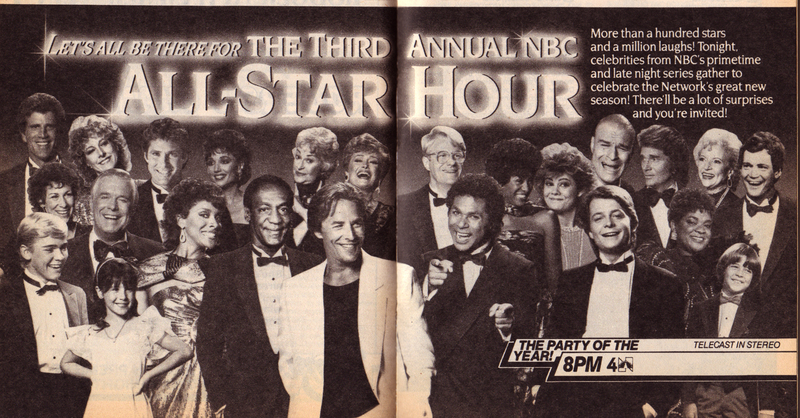 Though the art is awesome in the below CBS ad, I love the NBC ad the most because of Don Johnson’s swagger. Though this is a composite shot, apparently the network wanted to play up his bad boy attitude by putting him front and center as the only guy who is too damn cool to wear a tux. 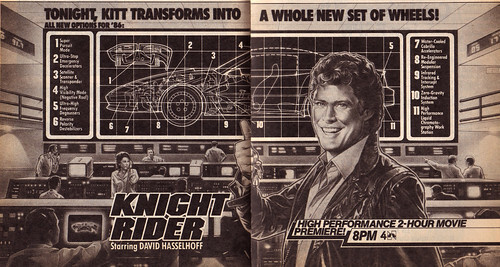 I wonder if he was all Miami Viced up for the actual special as well? 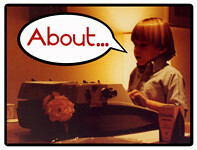 PreviousWax Paper Pop Art #17: Jumping the shark, In Space! NextTarget starts missing the mark sooner that I expected.